Looking for a way to indulge in great food and drink during the holiday season and support the Utah Food Bank at the same time? Zy can hook you up. 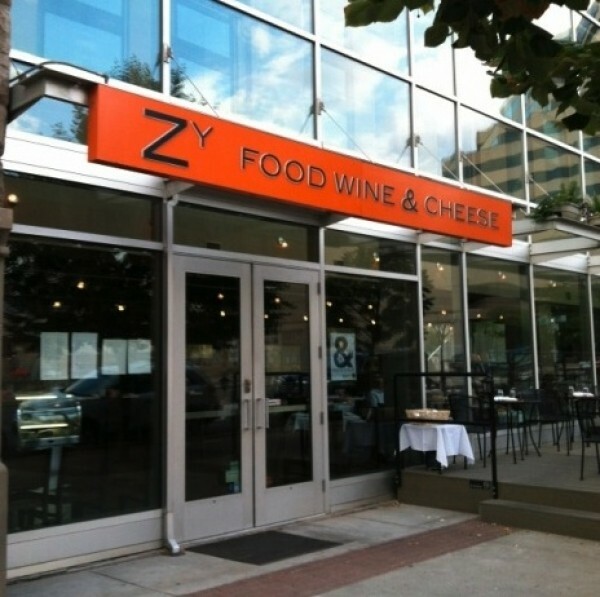 On Dec. 9, from 5 to 7 p.m., Zy Food Wine & Cheese (268 S. State) invites guests to help trim the restaurant’s Christmas tree and enjoy housemade eggnog and seasonal sweets, all while supporting the Utah Food Bank. A donation of $15 per person is suggested to benefit the Utah Food Bank, and the first 50 guests in attendance will also receive complimentary same-day ice-skating tickets to the Gallivan Center Ice Rink. Reservations are not required for the fundraiser. For further information, phone 801-779-4730 or visit ZyRestaurant.com. On Saturday, Dec. 15, beginning with cocktails at 6:30 p.m., Snowbird’s Lodge Bistro will host a wine dinner featuring the wines of Willamette Valley Vineyards. Award-winning Pinot Noir is what Willamette Valley Vineyards is best known for, but it also produces outstanding Pinot Gris and Chardonnay, all of which will be served at the Lodge Bistro dinner. Deanna Eames from Willamette Valley Vineyards will be on hand to discuss the wines and pairings, which include Columbia River paddlefish caviar on potato blini, paired with Willamette Valley 2009 Pinot Gris; 2009 Chardonnay alongside cauliflower vichyssoise with beet chips and herb oil; Pacific salmon with fennel and onion soubise, maple glaze and sweet-pea sauce paired with 2010 Whole Cluster Pinot Noir; and 2009 Bernau Block Pinot Noir paired with red-wine-braised beef short rib with potato-parsnip puree, forest mushrooms and crispy shallots. For dessert, there’s chocolate-hazelnut torte with sweetened whipped cream and Pinot syrup. The cost for the wine dinner is $65 for food only, or $85 for dinner with wine pairings. Snowbird is also offering dinner, wine pairings and lodging from $169 per person for the night. To make reservations, phone 801-933-2145.